This spacious, fully broadloomed, air-conditioned two bedroom suite plus den with in-suite storage has a private balcony in this very well maintained building. This exceptional building features an outdoor pool, saunas and excercise room within walking distance to Bridlewood Mall. 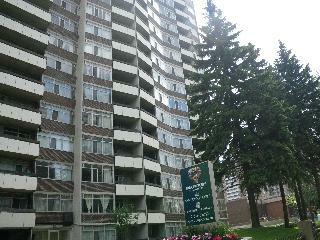 Call us today at 416-495-8769 to book your showing!